Love makes the world go round. Life seems like a rainbow or a box of crayons when one is in love. Companionship arising out of love is a pillar of life! Love never fades but one must keep it spiced up by connecting with the companion once in a way, away from the daily routine and hustle bustle of life. These moments of intimacy go a long way in cementing relationships. Season your relationship with romance by going on romantic places in the USA or any other place. After deciding on a getaway, it becomes rather difficult to choose the place. Finding a place which suits your mood and which provides all kind of fun that you’re looking for is not an easy thing. Most of us end up looking and browsing through various locations to plan the logistics. While it is true that the place should have something both you and your partner are looking forward, it should also contain details and arrangements which would amuse you. This, I tell you, is indeed exhilarating. Therefore, the place should enable you to communicate and recreate by taking you away from the normal mundanity of life. A new environment as it is, it should give you a different perspective on life as well. Here are few such Romantic Places in the USA that you might want to visit to reform your bond or enhance it. Previously slated as the movie-making city, it has a fashionable elegance about it. Operating hours: Throughout the Day. 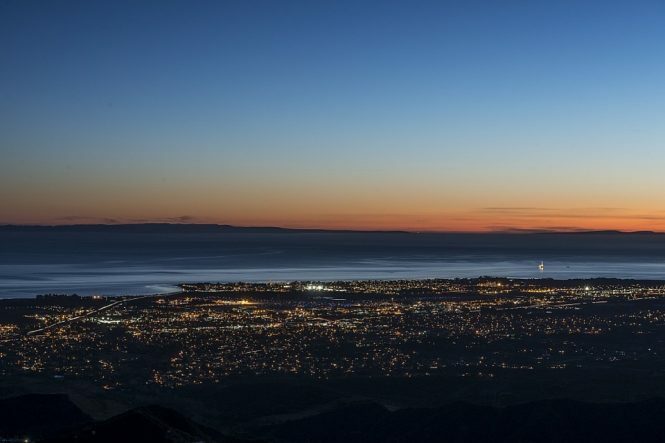 Things to do: Visit State Street, Santa Barbara County Courthouse and East Beach. The best way to experience the place is by getting on the foot. Look at the well-dressed pedestrian streets and understand the indulgence of the city and you wouldn’t want to get away from it. The place contains many budget-friendly things to experience which is why you won’t have to spend so much here. Even the favourites like McDonald’s Mc Egg and Motel 6 have their origin here. The alluring resorts and the boutique shops around can make a dent in your savings. However, if you can afford them, this seaside paradise is nothing less than a heaven to you in the list of Romantic Places in the USA. This triangle island is the secret getaway that you have been searching for. Distance from Domestic Airport: 4.82 KM from Martha’s Vineyard Airport to City Centre. How much time to spend: 3-4 days would be ample time to get hold of the place. The place sits about 8 miles from the coast of Cape Cod, Massachusetts. It has been the summer hideaway for the famous and the rich for a century now. As the Hollywood East reputation is hiking, this place is even visited frequently by Barack Obama, Bill Murray, David Letterman and lot of others. Despite having the summer lineup of stars, it also has a laid-back atmosphere which makes you cosy. However, you can find some expensive cottages and pricey dining here, but they are worth what you’re spending for. 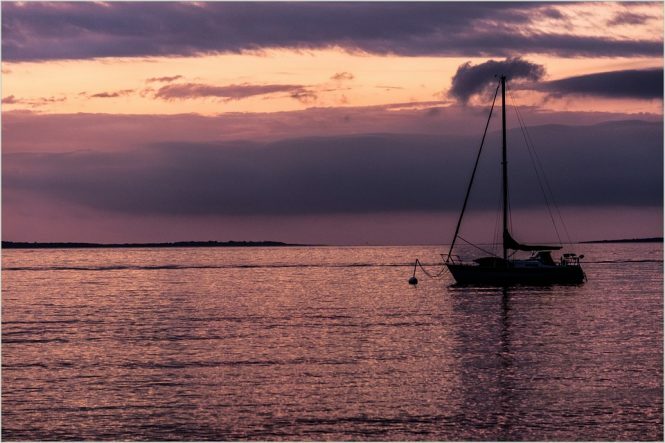 The low-key places like Menemsha and Vineyard Haven are focused on the marine industries and offer casual experience. You can swap those stilettos for flip-flops, wear some really comfortable clothes, play it cool and get the best slice of the vineyard while you’re here. If you have a car, it is best to leave it on the main island to get the most of this among Romantic Places in the USA as it will take around $150 to get it on the ferry across the clogged streets. A place weaved with layers of American History, it gladdens you. How much time to spend: Spending a whole week will be perfect to better your mood. 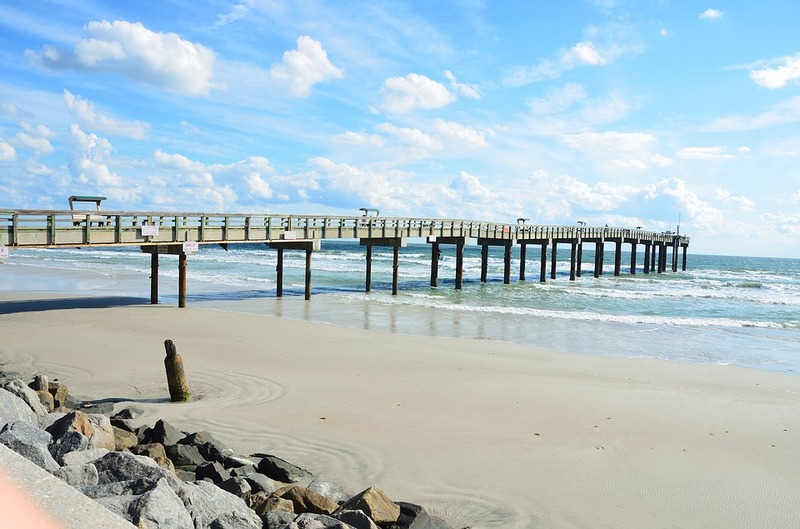 Things to do: St. George Street, Castillo de San Marcos National Monument and St. Augustine Lighthouse & Maritime Museum. Actually found by Spaniards back in 1565, this city of Florida is the oldest one occupied by the Europeans in the U.S. Along with narrow streets full of cobblestone and colonial style construction; the buildings follow the Romanesque Revival Style which is designed by Henry Flager, the railroad and oil tycoon (Whose reference you will find in Ayn Rand’s Atlas Shrugged). St. Augustine can also be referred as a penchant for many paranormal activities as it is said that the top attractions of the city are haunted by original Spanish inhabitants, which is why you can also have ghost tours during the night. If you’re a fan of spooky adventures, this place is on the list of Romantic Places in the USA is a perfect fit for you given you can also have fun in scaring your partner. This laid-back attitude island makes you calm and composed at the core. Distance from Domestic Airport: 19.47 KM from Lihue Airport. Best Time to Visit: March-June, August – September. How much time to spend: You should at least mark 4-5 days for the city in order to experience its culture and cuisine. Things to do: Waimea Canyon and Koke’s State Park, Kalalau Trail and Napali Coast. The place is filled chocolate sand beaches, honey sunsets, and bluish skies together forming a profound seduction about it. 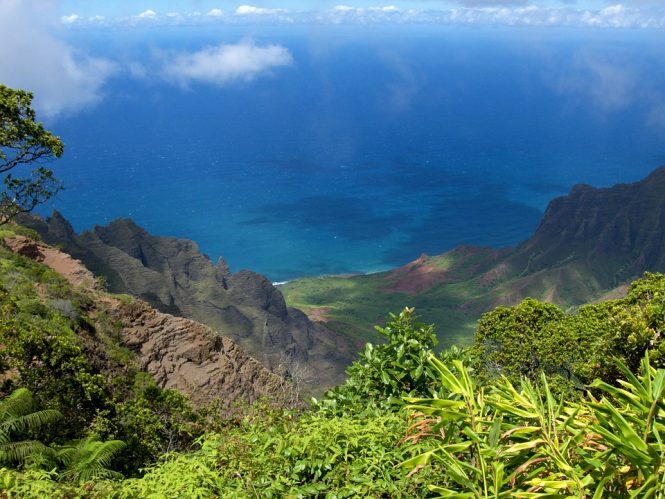 It is the oldest island in the chain of Hawaiian island and as a result, it is not actually the luxurious trip but is definitely an enticing one among the Romantic Places in USA. If you’re a no fuss- no muss traveler and prefer spending time in semi-rural places, this one is for you. There are only around two highways and all of the regions can be explored on foot (some only on foot). The resorts don’t have a height than a coconut tree. All you need is an umbrella and a pair of boots to bring the adventurous spirit out of you. This most famous wine place offers you the best champagne brunch that you shouldn’t miss. Distance from Domestic Airport: 11.42 KM from Napa County Airport. How much time to spend: An effective two days would be sufficient to catch the place. Things to do: Frog’s Leap, Schramsberg Vineyards, and O’Brien Estate Winery. Robert Louis back in the 1880s after his trip to the Napa Valley said, “Wine is nothing but bottled poetry.” This quote is painted over the area’s sign on Highway 29. 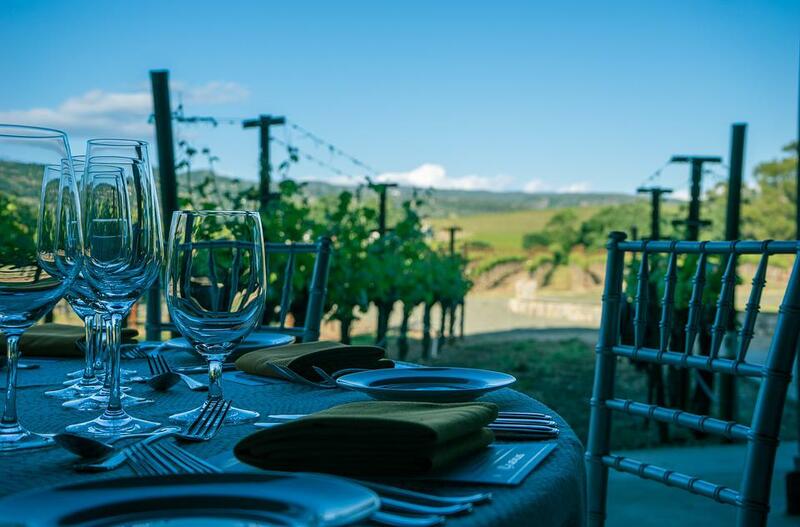 With the growth in the wine industry, Napa Valley has become a prominent hotspot vacation and thus listed as one of the Romantic Places in the USA. The wine taverns, the hillsides, the rich estates scattered between the vineyards along with the illustrious resorts cater the indulgence in a clean plate. You can find activities including gourmet dining, golfing, spa pampering; name one and you will find it here. The creepy graveyards, the Spanish moss and the slicing ambience will give you a new experience. How much time to spend: You can spend your weekend peacefully in this city with an eccentric streak. The city is famous for Savannah College of Art and Design where the students are both preservationists and as well as ghost hunters. Well, ain’t that interesting enough to make it a Romantic Places in the USA? Pun aside, the city has street blocks with edgy restaurants, restored buildings and all quirk that we usually see in crime dramas. The city is also known for the name game and is actually a garden of both Good and Evil. If you have seen ‘Forrest Gump’, you might already know that it looks like from every corner with all genteel facade it has. As a place, it has so much to offer as compared to most of the romantic getaways offer to make your trip, interesting. This port city with historical layers, beautiful gardens and plenty of beaches is waiting for you. Best Time to Visit: Feb-May, September-November. 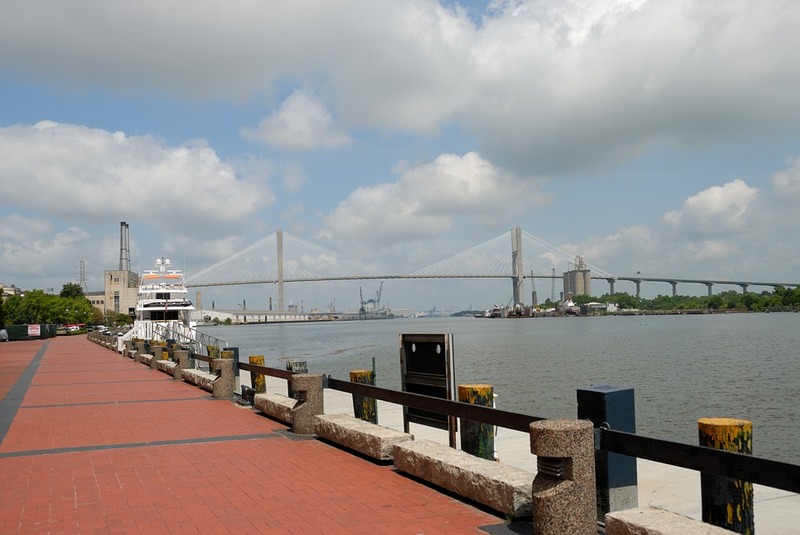 Things to do: Boat Tours, Walking Tours, and The Battery. The place is filled with oldest mansions, spooky cemeteries, cobblestone pathways, Spanish trees; making it a different world altogether. As you walk in the streets at night down the horse carriages, the antebellum architecture makes you think that you have time travelled to the past. This South Carolina city is known to celebrate the heritage doesn’t mean that it’s stuck in the past. It has innovative shops, interesting eateries, art galleries and the Spoleto Festival as well happening here. You might want to dress up a little if you don’t want to stand out as a tourist. Women usually wear dresses and shirts while men are dressed in polos and khakis. This place has a harrowing culture among the Romantic Places in the USA that you should definitely experience. Concluding, spending time with your spouse in an intimate background is the right thing to set the romance. Therefore, taking some time and visit any of the above-listed places in order to be romantic together as you spice your life which is filled with boredom. These places will definitely re-ignite your intimacy and you can spend some time out of your ordinary life as well. This is the gift that every relationship needs and deserves. Therefore, choose one of the best Romantic Places in the USA and plan accordingly so that you can get your bond back on the track effective immediately. Check out our USA tour packages to explore the most romantic places in the USA. 1. Are Car Rentals available at Santa Barbara Airport? Yes. All kinds of car rentals are available at Santa Barbara Airport. You can also book the rentals in order to get around the city but it is preferable to explore the city on feet to get the most out of it. 2. What is Old Town Trolley Tour of St. Augustine? It is a tour of 80 minutes which narrates the historic elements of the city. It has around 23 stops altogether where guests can get off and get on in order to sightsee, dine, shop and wander. The tour covers 100 points throughout. 3. What are top things to do in Savannah? Take the Historic District and get on the Riverboat Cruise. Make sure you dine and shop on the River Street followed by the visit to the Savanah College of Art and Design. 4. 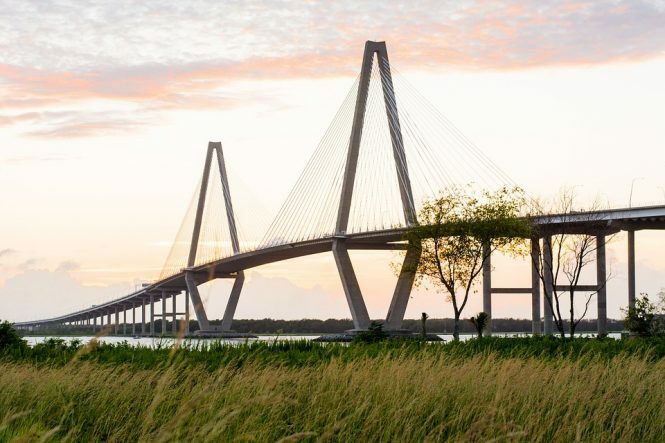 Which Hotel is the best to stay at Charleston? There are several hotels in the city and many are within the walking distance to amusing elements like the South Carolina Aquarium. You can find anything on King Street, Meeting Street or the Calhoun Street as all of them offer the same ambience and comfort.